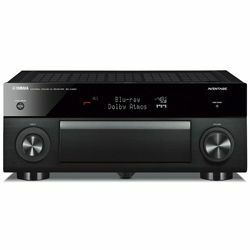 Welcome to the best AV receiver under 2000 review compiled out of the flagship models in the market. 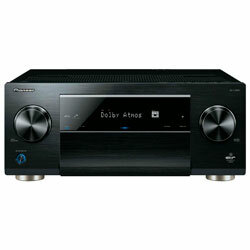 The main aim of the current review is to find the solidly built and reliable AV receivers priced between 1000 and 2000. 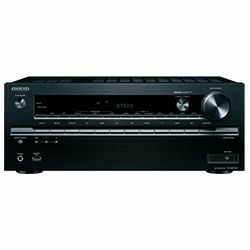 Receivers in this segment represent the modern complex technical devices featuring the leading electronic technologies for versatile settings. Such diversity, along with the compatibility and format-related issues, can make the buyer dizzy. That’s where this review comes in handy. Here, the real usable parameters and features are considered, it’s not a technical manual but a real-time user guide. 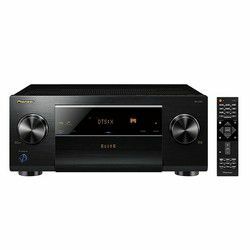 The price range allows choosing the best AV receiver under 2000 having many useful options at a lower cost. Meanwhile, it also includes the serious professional devices that provide the seamless clear sound with voluminous effects, able to satisfy the experienced music lovers. 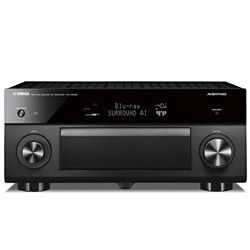 This review also contains the older models of the quality AV receivers, while some of the receivers are followed by the newer unit of the same model line. 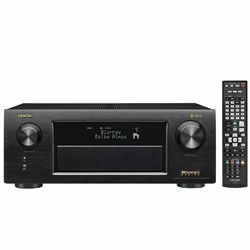 These items represent the improved receivers with enhanced functions and format options. They usually feature enhanced technical characteristics and wider connectivity options, which are described in the review. 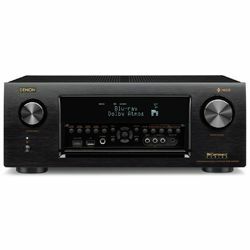 Meanwhile, the appearance of a newer model is not a reason to immediately replace the high-quality receiver you have - so far as it satisfies your needs. 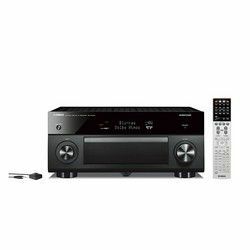 I tried this receiver with the 9.2 Yamaha acoustic set and 4K Apple TV. The effect of the creeping bass coming from four channels at once is truly penetrating! The sound is crystal clear and fills the room physically. The volume range is large due to considerable wattage per channel, yet the smart calibration allows removing all the thump from the subwoofers making it stay within the room. The mids are super clean and rich, while the highs become a bit thin when the back speakers are involved. I also appreciated the smart sound distribution between the speakers during movie watching - it was great having the Atmos effect from the large facing-up speaker as if coming right from the ceiling. The video is superb, the native 4K and HDR are implemented seamlessly, there were no out-of-sync issues or any HDMI handshakes at all! The colors are rich and vivid, while the contrast is sharp. I was pleased with the fast and solid work of the wireless network, especially with the streaming through Pandora. The Bluetooth transmission to the speakers from the receiver featured slight crackling - and it wasn’t fixed by the firmware update. The latter is fast and simple, not interfering with the receiver’s performance. I was delighted controlling the inputs and volume in both zones via Yamaha MusicCast. The remote is smartly designed for fast operation. Could not control the subwoofers through YPAO. Implementing a Windows-compatible app would be great. 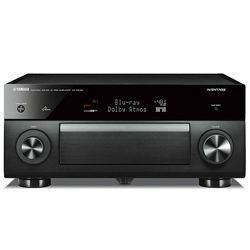 The Yamaha RX-A3070 is followed by the next-gen AV receiver Yamaha AVENTAGE RX-A3080 that is yet more functional than its predecessor. It can manage two more channels producing the unbelievable backstage sound from my 11 Klipsch speakers’ set and two Sony subs. I could hear every track distinctly and write a music diagram for them myself - so clearly it was produced! The Atmos effect was outstanding, but it was stunning to find out that it is perfect in headphones as well. The video upscaling adds even more contrast and colors than in the Yamaha A3070. The first thing to notice is that this masterpiece of the AV receiver engineering is solidly built. The unit feels very reliable and expensive; at the same time, the design is quite modern. I appreciated the small informative panel perfectly backlit for being seen yet not distracting from the main screen. I used it with the 7.1.2 system and was highly pleased with the potent rich bass and general full presence of the acoustics. I liked the smart sound distribution in Atmos mode driving my ceiling speaker to the utmost power. I adjusted the system in Zone 1 manually, which was easy enough, due to the intuitive menu and instant remote response. For Zone 2 I used the Audyssey calibration, and it tuned my system perfectly, no manual setup was needed. 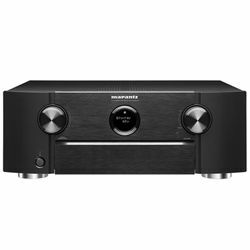 I streamed music and movies through Airplay, the response was instant and the quality was high, though there was no 4K for so-called 4K content, even with the Philips 4K projector. Yet, the picture is superb, especially the deep contrasts and the intensity of color. I also appreciated the wireless control and the smart switching between the zones allowing performing the main controls via the smartphone. Nice sound concentration in DTS:X mode. The ARC function allowed watching a TV broadcast with the perfect sound. While using the PС, another input appears as the default one. Complicated setup for Pandora streaming. 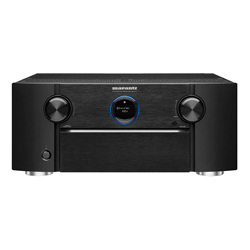 In comparison with its ancestor, the Marantz SR7011, the user’s control is yet more advanced in this AV receiver. I used it for three zones; it should be noted that all of them have different connection types (wireless HEOS, Bluetooth, wire), and the switching, as well as preciseness of the commands, were perfect. I could adjust the volume in Zone 2, switch to Zone 3 and turn it on, tune the back speakers in Zone 1 - all that without any lag or lip sync errors. The user interface became smarter and more intuitive, there is no problem even for a non-techie to go through, while the auto-calibration is still top-notch. 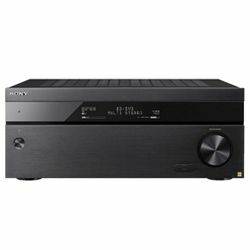 The video processing is definitely a strong side of this high-end AV receiver. It supports native HDR and 4K delivering the living colors and razor-sharp contrast. I tried the Atmos mode for my 7.1 set and was overwhelmed with the presence effect of the action scenes. The setup is easy due to the well-developed UI - it is comprehensive, with nothing much to tweak. Applying the auto-calibration, I’ve found out that my front speaker can produce the nice thumpy mainline effects. Overall, the sound from my Bose set was pristine and featured a potent power boost. I used Chromecast for streaming, but there were no video options. However, the audio streaming is very fast. The voice control is very accurate, there were almost no lags while performing my commands. I also tried the multiple zoning and found it generally OK. The only issue was a limited control over non-default zones (like adjusting the volume outdoors while enjoying the lounge music in the living room), but I hope that the firmware update will resolve it, eventually. Perfect ARC integration with the next-gen 4K TV. Nice background features like showing the album cover for the music track. Features connecting ports for older devices like a VHS player. There is no function for renaming the inputs. The preset sound modes are not configurable. 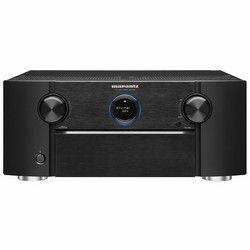 This high-end AV receiver has everything to make the air vibrate and the house rock. The high wattage drives my large Polk speakers to the peak where it seems the air is thick with the sound. I tried watching some DTS:X movies and was overwhelmed by the precise channels’ handling and stereoscopic sound effect. The crystal clear highs, well-centered mids and penetrating lows from the Sony sub made my day while watching the Star Wars. 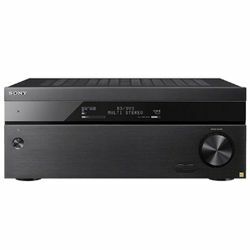 This unit, as most of the Onkyo devices, is THX-certified, and it is great to get the sound right as it was conceived to be. The effect was boosted by the native HDR and 4K providing the vivid picture with the perfect balance. The device setup took time, as there are many options to consider and fiddle with. The built-in AccuEq technology does set the system decently, yet for the full effect I had to tweak the sound fields and component settings. I did the tuning through the remote and can praise its control quality but not the comfort. All the buttons I need frequently (like volume controls) are situated close to the center and are included in the larger sets of buttons. I can use my favorite 4-Ohm impedance speakers without fearing a breakdown. Smart front panel with the controls. The engineering idea of a total wireless control has been fully implemented in this expensive AV receiver. I did all the preliminary settings and in-work adjustments without even stretching my hand for a remote. The smartphone application provides a variety of control options. There is no tuning option that isn’t covered by the app, and the latter’s design is comprehensive and easy to handle. 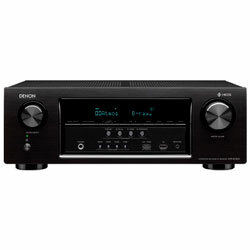 This unit is made for the 9-channel set; yet, it rocked my house with bass and rhythm even with the simple 5.1 Sony set! The mids are especially distinct, which also provides clear dialogues in movies. Each channel is processed separately, and the quality is superb. The powerful clear main line in the Pure Direct sound mode provided the unbelievable live experience of the classical concert. Regarding the video, the 4K works perfectly, providing a top-notch balance and sharp detailing. The upscaling is also quite nice and it works without any delay. I appreciated assigning HDMI inputs to my liking and naming them accordingly. This saves time helping find the needed device and its input at once. Perfectly developed digital sound modes allow reaching the surround effect with any acoustic set. Steady and fast Bluetooth connection pouring the surround sound in my headphones. Setup requires passing through the multilevel menu, which takes time. Switching between HDMI inputs leads to switching between the component inputs as well. Compared to the Yamaha RX-A1070, this RX-A1080B provides better control over the zones through MusicCast app. I could set the EQ and perform regular controls for each zone staying 100 feet away. The number of zones increased due to MusicCast transmission to other locations. The setup became easier, letting tune any basic setting from the main menu. The transmission via Bluetooth is improved. I connected the subwoofer to the dedicated output while syncing the bathroom speaker via Bluetooth. I was stunned to have powerful, well-centered and full-presence sound. This device represents a professional sound processing unit that delivers pristine sound via each channel. It is designed to feed and amplify an 11.2 speaker system, and it really made a new clause in my opera music perception via the mixed set of Polk and Bose speakers paired with the powerful 700 W Yamaha sub. The high wattage and the large frequency range provide the seamless pristine sound through any of the channels making the background sounds present and noticeable. This has become a bonus when connecting my PS4 Pro for action gaming. The picture was well-balanced, the colors bright, the textures sharp and lifelike. I appreciated lots of inputs, both HDMI and specific component, allowing playing with the connections, as well as setting and threading the path to the perfect performance. Still, some of the setups were done through the automatic function, and the result was outstanding - clear sound and a vivid picture with no framing delay in HDR. Enveloping surround sound effect even with the minimal acoustic set. Nice handy buttons offset on the remote. Smart switching between HDMI without any lags. The smartphone app is a bit cumbersome - not fit for setup. The unit is above average in size and weight. The unit has several impedance options for connecting to the wide range of acoustic sets. I used it with the 5-speaker Sony set and a Sony sub. 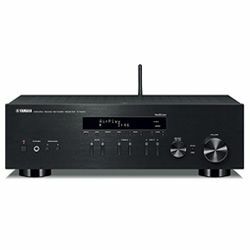 This AV receiver provides different setup levels that appeal to a wide audience. A regular movie buff with no affection for technics, and a techie will both enjoy the simple menu and intuitive tuning. The Pioneer’s proprietary auto-calibration MCACC has tuned the system well for me. Yet, choosing the Pure Direct sound mode and fiddling a bit with the subwoofer settings (I set the lows to my liking and adjusted the frequency a bit lower than in default mode), I got an outstanding accord with the midbass. The sound got rich and vibrating. I marveled at the vivid and razor-sharp picture on my Epson 4K projector with HDR support - it works for 100% and brings the incredible texture. Meanwhile, the ARC connection with the 4K TV didn’t allow setting the options like contrast and brightness, so I connected it through HDCP-compatible HDMI. This AVR is the state-of-the-art device; still, it supports the 3D pass-through as well. I enjoyed the full presence effect enhanced by the enwrapping Atmos sound. Plenty of inputs (both component and HDMI) for plugging in two zones simultaneously. I assigned the outputs to my liking and enjoyed several different setups. Zone 2 has limited smartphone control. Switching between the outputs features a small delay. Oh boy, this AVR is a power monster! It produces such a wattage at the output that would be enough to produce an earthquake! I did have to turn the sub lower, as the bass was overwhelming. The receiver has powered my new Polk Audio 9.2 set greatly, filling the room with the crispest sound where the tiniest inflections were distinctly heard. The Atmos effect is completely immersive; it makes me forget where the sound comes from as it seems to be going right through my body. The sound is warm and enveloping. The native HDR pairs the audio creating the real cinema effect. The framing sequence is perfect and the picture is superb. I had no issues with the setup, the menu didn’t change much over the last Yamaha models, but it is very convenient to navigate. I especially liked the logical framework of the sound calibration system. Meanwhile, the auto-calibration tuned my acoustic set fairly well for DTS:X; yet, in Dolby TrueHD the highs featured some slight squeaking. Still, I fixed it easily adjusting the front and side speakers’ frequency. It was nice to save the EQ settings on my smartphone and implement them later on the AVR. Fast HDMI switching without lags. Unobtrusive and informative front panel. Remote inscriptions are rather tiny. 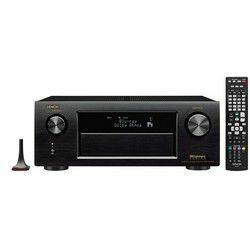 An upgrade of the Yamaha RX-A2060, this receiver provides more advanced wireless options. The Internet apps like Sirius radio and Napster work without issues. I could easily adjust the volume, switch within the playlist, and shift to another input. This unit supports up to four zones with up to three powered ones (while there is no zoning distribution in the previous model). The AVR is equipped with Surround:Al technology ensuring the optimal sound settings in real-time. The audio converter is enhanced up to 32 bit enabling the crystal pure sound in any mode. 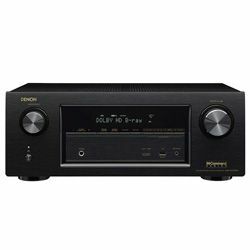 This solid-built four star AV receiver ensures reliable performance for the highest standards of HDR10 and Dolby Atmos. The picture has perfect shadowing and contrast, and the color gamut is vast. I enjoyed Atmos and TrueHD being played via my Klipsch 5.1.2 set. I liked its somewhat edgy crystal clear multichannel sound that allows hearing each audio channel distinctly. I’ve spent a considerable time setting the unit, as the menu isn’t easy to follow. Meanwhile, the Audyssey auto-calibration has set a perfect arrangement for my acoustic system. I appreciated the rich and clear mid audio channel. I tried the built-in Denon phone app and was generally pleased with it. It provided me with all the controls and featured no lip sync errors. Streaming through the Airplay was easy and quick, I was able to use it for one zone only while controlling another zone with the remote (for TV watching). Overall, it is a high-quality device. It gets a “B” mainly for its firmware update that suspends the unit operation until it is over. I enjoyed using HEOS for tuning the inputs for streaming. Good compatibility even with the older HDCP devices. Th device is heavy - not fit for light shelves and cabinets. More brittle sound in the Eco mode. 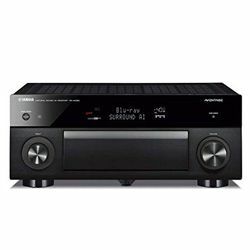 In order to justify the choice, it is necessary to have full data about the AV receiver including specifications. Here you can compare the units presented above in the AV receiver under 2000 reviews, by their physical and digital parameters. Drawing the comparison, remember to consider the specifications altogether, not just comparing the separate parameters like frequency, resolution, etc.